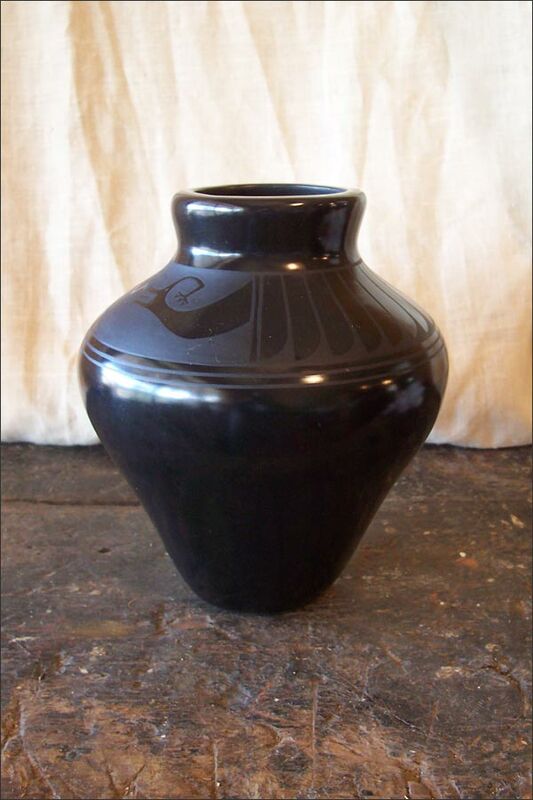 A Beautifully Shaped and Decorated Black on Black Piece of Navajo Indian Pottery. 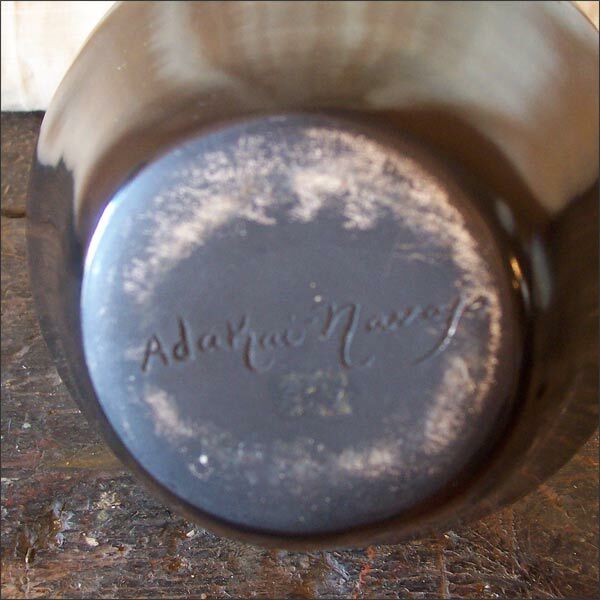 This Pot or Vase is Signed “Adakai - Navajo” and Made by Manuel and Janna Morgan (Adakai). 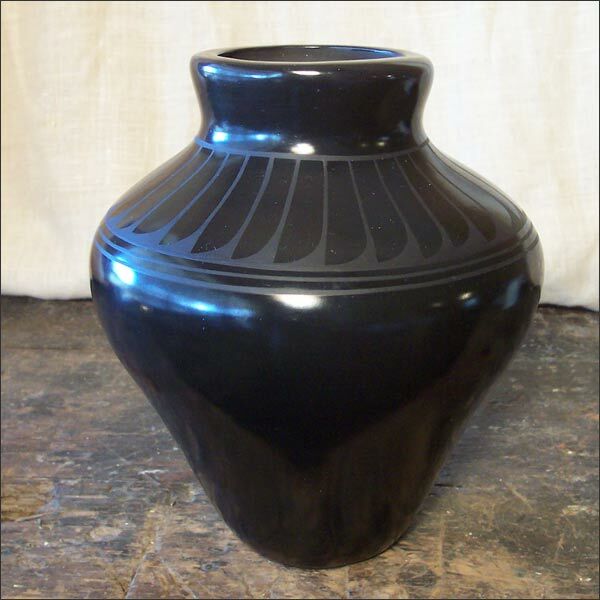 Husband and Wife Reside and Create Black Ware Pottery - since the 1980’s - on the Navajo Reservation in Southeast Utah. A Pueblo Pot with Finely Executed Feather Motif and Abstracted Animal Expelling an Arrow, Denoting the Life Force of the Animal Spirit, as I Understand it. Perfect Condition.